Today we are going to talk about Robert Oster Bronze. 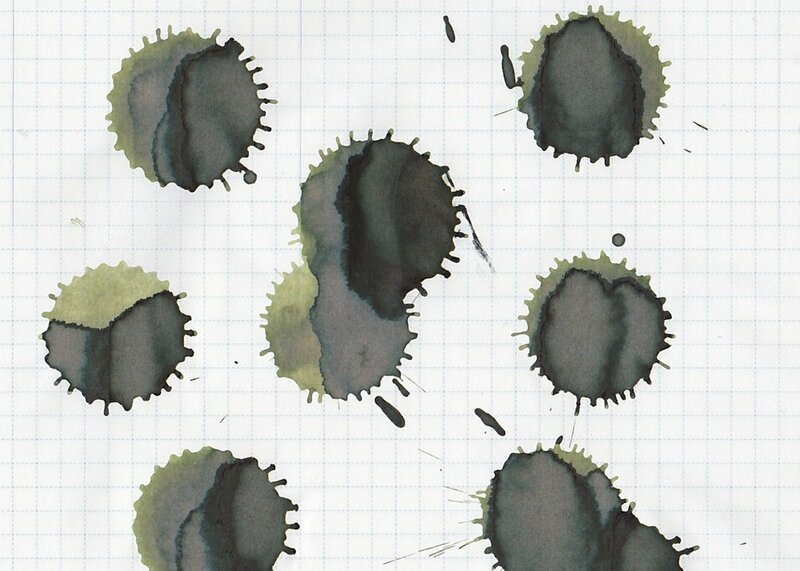 I am determined to get all of the Robert Oster inks reviewed, there are just so many of them (that's a good thing). I purchased my sample of ink from Vanness Pens. Bronze is a brown ink with green undertones. In large swabs, the ink looks a lot darker than it does in writing. This ink really does have a green undertone, which is more pronounced in the lighter shades of the ink. Let's see how it performs on paper I know to be fountain pen friendly: Rhodia, Tomoe River, and Leuchtturm. I just got this new notebook this week, so I thought I would start it out with ink reviews first to see how the paper does. The paper is 32 pound copy paper, in white. The paper/ink combo performed beautifully-no bleeding, feathering, or even any show through, and you can even see some of the shading. Perfect. Ink swabs for comparison, left to right (top to bottom for RSS): Robert Oster Khakhi, Robert Oster Bronze, and Robert Oster Motor Oil. Click here to see the Robert Oster inks together. Khakhi seems like a brighter, one shade lighter version of Bronze. Bronze does look just a bit more green, where Khakhi is just a bit more yellow. Of the two, I think I like Bronze better. Pelikan Edelstein Smoky Quartz, Robert Oster Caffe Crema, and Robert Oster Melon Tea. Click here to see the brown inks together. I used a Lamy Safari Petrol, broad nib on Tomoe River. I didn't have any flow issues. 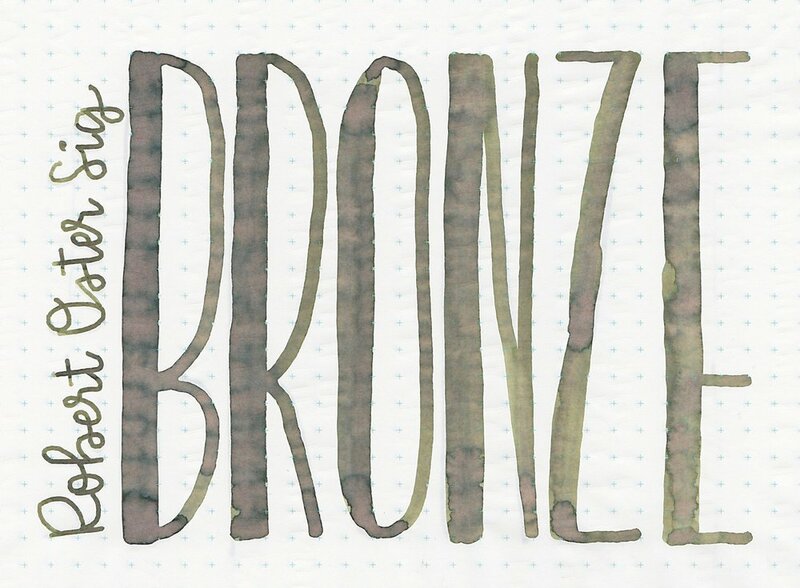 Overall, Bronze is a really well-behaved ink and has a decent dry time. Seasonally, I would use this ink in the fall or winter. I really like this one. I'm a sucker for shading inks.